THIS PRIME EAST STATE STREET LOCATION WITH 2.67 ACRES FOR RETAIL, COMMERCIAL DEVELOPMENT IS DIRECTLY ACROSS FROM 'THE MARKET ON STATE' MALL. THIS PARCEL ALSO OFFERS FLEXABLE OPTIONS FOR A BUYER LOOKING FOR LESS ACREAGE, HAVING ALREADY BEEN SURVEYED INTO THREE SMALLER TRACTS. ALL CITY UTILITIES ARE AVAILABLE AT THE ROAD AND IT HAS HIGHEST CITY ZONED - MANUFACTURING. Go home for Vacation! This resort style property is a one-of-a-kind featuring over 100 acres of beautiful rolling hills made up of a mixture of wooded land, fenced pasture, hayfields, and manicured grounds. Land for sale in Hocking and Fairfield Counties. This all wooded, 236 acre property has a-lot to offer a potential buyer. "This land is their land, this land can be your land, from Cable Lane to the adjoining farm land, This land was made for you and thee" Athens East Side, Athens City School District, A heavily treed, private 35 + acres with a paved drive from Cable Lane. This is truly of the most uniquely wonderful parcels ever offered in Athens. Go home for Vacation! This resort style property is a one-of-a-kind featuring 40+/- acres of beautiful rolling hills made up of a mixture of wooded land and manicured grounds. Travel over the gated 1/4 mile concrete drive to atop one of the rolling hills, and you will find incredible views, and a quality crafted, custom 5000+ sq ft contemporary brick home & resort style outdoor area. 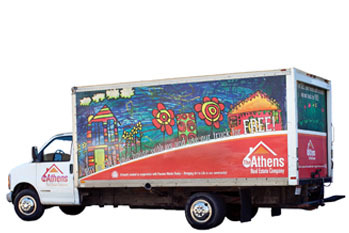 This 2.9 acre m/l site is located at the front of University Estates in Athens. At the corner of University Estates Blvd, and State Route 682, exposure is abundant. The parcel is zoned B-3 within city limits. Buyers should check with local authorities for building and usage restrictions. MEIGS COUNTY PARADISE 250 AC. M/L WITH A TOTAL OF 5 BR's, 3 BA 2-AUTHENTIC LOG HOMES, FREE GAS & MINERAL RIGHTS. When you turn down the drive you'll come to the gate, taking you to the this paradise sitting in the middle of the 250 ac. m/l. Constructed using original hand hewn pioneer beams, designed w/ the taste of character that can only be appreciated by viewing. Go home for Vacation! This resort style property is a one-of-a-kind featuring 5-10 acres of beautiful rolling hills made up of amazing manicured grounds. Travel over the gated 1/4 mile concrete drive to atop one of the rolling hills, and you will find incredible views, and a quality crafted, custom 5000+ sq ft contemporary brick home & resort style outdoor area. Former Powder Coating/Plastics Plant. 2 adjoining metal, insulated, I-Beam constructed buildings. Tallest of the two has 35 ft. clear head space under 2 linked 30-ton overhead cranes (optional) w/ 5-ton trolley covering all 20,000 sq. ft. floor space. Separate men's/women's locker rooms & restrooms. Building is heated with New Hastings Natural Gas 2,000,000 BTU unit. 10 Acres m/l of B-3 land where the permitted uses are plenty. This property is located in University Estates. UNIQUE 2.16 ACRE COMMERCIAL LOT WITH 190 FEET OF FRONTAGE ON EAST STATE STREET. - THIS PROPERTY IS IN A PRIME LOCATION ACROSS FROM THE STAPLES RETAIL STRIP PLAZA, RUBY TUESDAY'S, BURGER KING AND IN A LARGE GROWTH AREA THAT INCLUDES WALMART & LOWES. GREAT SPOT FOR MANY POSSIBLE USES INCLUDING RESTAURANT, RETAIL AND OFFICE. FRONT OF THE LOT IS FLAT AND LEVEL. The possibilities are endless! Student housing. Multi-family housing. Residential health care. Outpatient clinics. Over 10 acres m/l of R3 zoned property located in University Estates, ready to be developed. City services available at road. Two recently built triplex units (2016) and a wonderfully upgraded duplex unit can be yours for the taking! All of the work to make these 8 units a LONG TERM money maker has been done by the current owner. Nearly perfect rental history since their ownership, you could be making money today. Incredible road frontage to insure your privacy, this 130 ac. m/l fenced Cattle/Horse farm with a gorgeous 3 bedroom, 3 full bath cedar home built in 2003 with in-ground pool and pool house. 206 acres for sale in Athens County Ohio. Located just under 20 miles from downtown Athens, this property has all the features to build your new home or a top notch hunting retreat with nice trails and some mature timber. If you enjoy spectacular views, beautiful sunrises and sunsets, wildlife and privacy, all just minutes from town, you will love this home. Spacious rooms adorn this home with large living room and dining room, huge eat-in kitchen with breakfast nook, large spacious bedrooms, beautifully equipped bathrooms. This home offers enhanced ceilings and floor coverings, solid oak doors and trim. NATURE LOVERS' PARADISE! PRICED TO SELL! This is a MUST SEE property and includes a FARMHOUSE, OUTBUILDINGS, AND 130 ACRES! It is perfect for hunting, fishing, farming, ranching, hiking, canoeing, bird watching, or just relaxing a short distance away from the city. The 100 YEAR OLD FARMHOUSE is 2,096 sq.ft. and was RESTORED and UPDATED with an eye to retaining character and improving function. Large parcel of land located in Meigs County on all hard top roads. Over 84 acres with 3 stocked ponds, a good mix of woods and pasture and an expansive open concept home under construction. The foundation, framing and roof are complete waiting for you to pick the finishes for the rest. See photos for the original design. Incredible location for high end use. This 92 plus acres was a very successful tree farm for many years. Owners have decided to finally sell and let the new buyers enjoy and create their dream. Property borders on Lemaster Road and Salem Road allowing easy development and excellent utility access. Owners have created trails and paths for easy viewing. With almost 6000 square foot of space to lease this centrally located professional building has much to offer. Private 6.79 ac. m/l 5 min. to Athens w/ almost 4000 sq. ft. of living space. All brick, custom designed 5 BR, 3.5 BA w/ separate lower level in-law suite, 3-car att. garage and a new 16 x 32 inground pool. Perfect for entertaining. Enter the front door & find two story open foyer w/ solid oak staircase. Formal entry open to LR w/tray ceiling, built-in shelves, cabinets. GL FP w/stone front. Alcove w/lighting - lg cabinet. MBR w/door to deck, tray ceiling, bath w/ garden tub, dbl sink vanity, oversize shower, walk-in closet. Laundry room w/sink, cabinets, 1/2 bath, office. Upstairs BR w/closet, bath w/shower, and attic storage. Peaceful wooded setting w/small private pond, Koi pond w/waterfall, 18 x 36 in ground pool, w/patio and beautiful covered cove area. This home offers the highest in quality and function, formal entry into FLR/DR area. Sun-filled office w/French doors leads to cozy FR w/cherry built-in entertainment cabinets on side of FP. This property is a must see! Situated in a private setting at the end of the road, this home has beautiful views and hardwood floors throughout the main and 2nd floors. Walking in from the covered front porch, you will see a bright living room with windows, large dining room, family room, half bath, large kitchen with island and breakfast bar, master bedroom with bath, and laundry room. Established mobile home park conveniently located in The Plains, with easy access to the highway, shopping and dining. The park contains 18 total spaces with 11 long time tenants on a month to month basis. Houses in this unique neighborhood NEVER come on market, so jump on this rare opportunity. You're almost right in town and yet you feel miles away. The setting (1.5 +/- acres!) is ideal & the home delivers everything. Normally we would not start on the lower level singing a home's praises, but the expertly finished family & entertaining spaces are unmatched in any other home. Beautiful 2600 SF Home Located on some Prime Farm Land in Lawrence Co.,close to Gallia Co. Border. Must see this 145 Ac (+/-) Farm that lays on both sides of Turkey Creek RD. Property Borders Crown City Wildlife Area (11,119 Acres of Public Hunting & Fishing). Custom Modular Home was built in 2007 and features Crown Molding, & Hardwood/Tile throughout. FURTHER REDUCED! Hidden Paradise awaits you. Located at the end of a long majestic country lane is this unique cattle ranch/horse with rolling pasture and wood covered hills, custom built log home and almost 170 acres AC/ML to farm and/or hunt. With a mixture of pasture, hay, tillable and timber this one of a kind farm offers many possibilities. The Safest Listing on the Market!! Close to the State Highway Patrol Post, this 16 + acres awaits your apartment/town house project, commercial or retail space. With over 1000' frontage on paved Della Drive, this high exposure property awaits a new owner. Beautiful 4 bedroom, 2.5 bath all brick home with all amenities on main level. When you open the door, you will find a gorgeous living room to left with formal dining to right that opens to the kitchen. Continue straight ahead to the magnificent family room with cathedral ceilings that flow into the beautiful large kitchen with breakfast area. Watch the Herons & Eagles from this lovely waterfront property on First Ave. Window-filled sun room (2001) on front - perfect for day or night year round as heated & cooled. Lovely back porch. Live totally on 1st floor w/LR & beautiful GL FP open to dining leading to cozy K/newer appliances, pantry, appliance garage, 2 lazy susans, oak cabinets. Cozy FR/playroom or office. Only 4 years old, this custom built home is absolutely breathtaking! Currently the very last house on University Estates Blvd, this 4 bedroom 2.5 bath home has been well cared for and even freshly re-painted inside. Your jaw will drop as you open the front door and take a look at the cathedral ceilings that just let natural light pour into the home. This home sits proudly on the boulevard in University Estates, & offers something unique for the neighborhood: plenty of pretty space with a pleasing price tag. The floor plan was well thought out, with just the right mix of open living & well-defined spaces. Everywhere you find bonuses. Bonus space in finished lower walk-out level. Bonus space off bedroom 4, for storing loads of things. A rare find with amazing views and a great location! 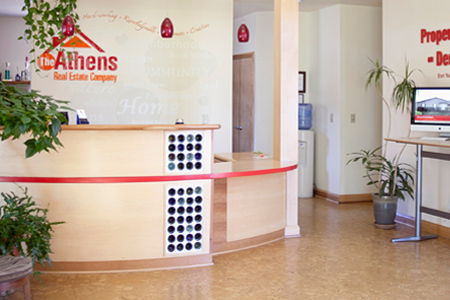 Only 5 minutes to uptown Athens and the Ohio University Campus. This 21 1/2 acre property has expansive views on three sides including a wonderful view down the Hocking River Valley and of uptown Athens and Ohio University. Looking for a prime development spot? These 2.9 acres m/l are located atop University Estates, and are zoned B-3. "Out But Just a Little Bit" Just 5 minutes to Kroger and 7 minutes to Ohio University (in a car) Just now available is 10985 Northpoint. This is truly a wonderful ranch home (you can do all your living on the main floor)Nestled on treed lot. This captivating property sits on 10.145 m/l acres. Perfectly nestled only minutes from Holzer Hospital. This house offers everything on your want list and more. Enjoy the luxury of having 2 Master Bedrooms on the main floor with walk in closets and master bathrooms with Jacuzzi tub. Huge Price Reduction by $15,000!! Don't delay!! Now Priced at $379,900! Recreation Galore! This Property is located between Gallipolis and Jackson featuring a one floor brick ranch nestled on 55 acres of Jackson County Paradise. Located just over 1 mile from US 35 this 3 bedroom 2.5 bath has all the essentials and much more. Never Before Offered ---at this Price. 122 Acres of Woods, perfect for hunting or recreation, very private but right on LeMaster Road. Special place for a get a way cabin. (adjoins another 71 acres tract that is for sale). Four finished floors of living & a $10k renovation allowance could be yours. Though this looks like a classic 2-story from the outside, it actually has three full floors above grade. Solid and stately, it has a room for everything (We can hear Oprah saying "you get a room, and you get a room and you get a room!"). Uniquely outstanding property you would expect to find in Savannah, GA could be yours. Potential to convert into single family residence. Two great areas to watch the parades and have "Fun Parade Parties". Private back yard area with landscaping - turn this area into your own "Southern Courtyard". This property will be sure to charm you. Call today for your private viewing. Beautiful home completely remodeled. Gorgeous floor, trim and doors throughout. Crown molding. Parquet boundary floors in dining room. Upstairs bath has heated floor. Full attic/mostly full basement..26 x 30 detached garage w/overhead bonus room complete w/kitchen and bath. Nice balcony great for friends and relatives or teenagers hang out. This beautiful, cedar and stone sided home with copper colored metal roof will surprise you. A architectural remodel finished in 2013 sellers maximized space and beauty. Large 72 foot pole barn is double insulated and has an office, bathroom and own heat pump. It would be perfect for a hoke business The unique open concept with plenty of storage and living space. Highly motivated seller, relocating soon! Upon entry, you will find elegance and comfort. This uniquely beautiful property features imported custom flooring, a kitchen that looks like it's straight out of a home & garden magazine, and a master suite with soaking tub & walkout features to a private in-ground pool. The open floor plan with an expansive living room is perfect for entertaining & relaxing and opens up to a spacious outdoor patio area that leads to an in-ground pool, hot tub and fire pit area that is perfect for anyone ready to enjoy the summers in your very own outdoor retreat. The huge 22X19 FT bonus room is perfect for a man cave, rec room, theater room or whatever fits your lifestyle. This Traditional home with character and charm is not only spacious at roughly 2,700 sq ft but it is also turn key. There is approximately 5,000 sq ft of detached garage area with a out building that could be used for a kids play house, she-shed, or a place for hobbies. The basement has 9 ft ceilings perfect for finishing if desired and is already prepped for a wood burning stove. Great opportunity for horse lovers, hunters, and recreational riders. The 150 +/- ridgetop acres are the standout of this listing, but it also offers a farm house that can be lived in comfortably while you customize it to your needs, or while you play or hunt on the property. 26.55 acres for sale with a spectacular hilltop ranch home that overlooks the landscape. This meticulously maintained home is 3202 sq ft and full of quality workmanship. 3 bedrooms & 2 1/2 Baths. Custom oak wood trim, doors, and cabinetry. Solid surface counter tops. Outdoor wood burning Central Boiler. County water. Office & formal dining room. Hard to find updated ranch home on a beautiful 6.59 acre wooded lot. A minute's drive to The Plains, 5 minutes to Athens. Seller spared no expense updating this lovely home. New wiring and service box, new plumbing, and 2 new HVAC systems. The new front door with sidelight, the brick trim, new vinyl siding, and shake details create a stunning entry. Inside, EVERYTHING has been updated. Home, Home, one the Range (21.5 Acres). It does not get much better than this home and acreage!! 21.5 acres, trees, pasture, big pole barn, other out buildings, BEAUTIFUL BAKER ROAD, GREAT NEIGHBORS & OOPS, I almost forgot , 4 bedroom brick home, 3 1/2 baths, 2 family rooms, living room, kitchen, 2 + car garage. Wait for the price-----wait for the price-----$ 359,500. COMMERCIAL 0.54 ACRE 'B-3' ZONED LOT WITH 464 SQ. FT. OFFICE BUILDING AND 217.10 FEET OF FRONTAGE ON EAST STATE STREET - THIS PROPERTY IS IN A PRIME LOCATION ACROSS FROM THE STAPLES RETAIL STRIP PLAZA, RUBY TUESDAY'S, BURGER KING AND IN A LARGE GROWTH AREA THAT INCLUDES WALMART & LOWES. GREAT SPOT FOR MANY POSSIBLE USES INCLUDING RESTAURANT, RETAIL AND OFFICE. THE LOT IS FLAT AND LEVEL. Paradise in the country! This passive solar red cedar home will check all the boxes on your must have list! From the moment you pull up the driveway you will be day dreaming of relaxing on the gorgeous porch. Neither "remodeled" nor "updated" quite captures the quality or extent of this home's transformation. The owners have not only added square footage and opened up the interior, but they have created a beautiful, custom kitchen and master bath, while updating every important detail in the rest of the home. Situated on 25 m/l acres and invisible from the road, this beautiful custom home offers country living at its finest. Master suite (with ceramic and glass shower and jetted tub) located on the main floor walks out to a covered wrap-around porch. 2 spacious upstairs BRs are each large enough to split in two. Beautiful custom home by Cornerstone Home Builders! It has an open concept living area with light and bright finishes. White cabinets, gas range, granite counters and stainless steel appliances. 10.4 Acres m/l at the height of University Estates. This lot is zoned B-1, and the possibilities are endless. Whether you are looking to put up a large housing unit, an outpatient medical facility, or even offices for business, this property could work for you. Agent Owned. Over 7 acres of B1 Commercial property in the Village of Albany. With sewer on site, the possibilities are endless. With the purchase of this property comes immediate income. There is a commercial building, a 4 bedroom 2 bath home, a pole barn, a modular home, and a trailer, all of which are income-producing units. Beautiful, well-maintained, move-in ready home located close to town on the cul-de-sac in a great neighborhood!. 5 bedrooms, plus office, 3.5 baths and a kitchen to-die-for with stainless steel appliances, granite counters, cherry cabinets, breakfast area and gleaming hardwood floors. Have you been waiting for that beautiful home to come available in a country setting where you'll have room to breathe without bumping up against neighbors? Are you ready for a home that is spotless, newer, style-conscious & move-in ready day one? Maybe you have big toys that need a home of their own (boats? RVs? car collection? wheelers?). This home delivers & then some. Superbly maintained gem in country setting built in 1998 boasts 13 rooms, 6 bedrooms, 5 baths, and 3,288 sf of living space with narrow-plank oak and ceramic tile flooring. A custom home from top to bottom, the owner has spared no expense in furnishing this home with the best. "Private" did you say "Private" - Do you want "Private"? If you want to look at the stars at night this is it! 55 Acres, winding "Private" lane through the woods, 30' X 50' two level pole barn with concrete floor plus 2 other storage buildings - "Private" but only 15 minutes from Athens east side (if you have a sort'a heavy foot :). Borders Fox Lake property. This exceptional floorplan is uniquely designed and a must see. This 3 bedroom, 2.5 bath home sits on a beautiful 5 plus ac. m/l and offers excellent country views. Home offers gorgeous cathedral ceilings with windows covering the whole wall bringing the outside to you while you prepare your dinners or just relax. 4 bedroom, 3 bath w/ possible in-law space w/ high end finishes. Upon entering the lower level you will find all hardwood floors w/ an open living space, kitchenette, full bath w/ tile floors, wall fireplace, private bedroom currently used as a game room, utility/laundry room. Located on a scenic wooded lot in Whitlind Woods, this four bedroom, three full bath has an inviting open concept and an abundance of natural light. This home features a great room with cathedral ceilings and a wood burning fireplace and is open to the kitchen and dining area creating the open layout most appreciate in a floor plan. 64.488 acres +/- of Prime Land. Beautiful acreage with lots of potential. Great for a home site with privacy and abundant, beautiful country views from all directions. Potential to sub-divide into multiple home sites. Located on a State rRoute with good access to SR 35, SR 850, hospital, schools and shopping. Location...Location...Location. Entertaining offers, call today. The current owners have done the leg work, and this cul-de-sac is ready for development. 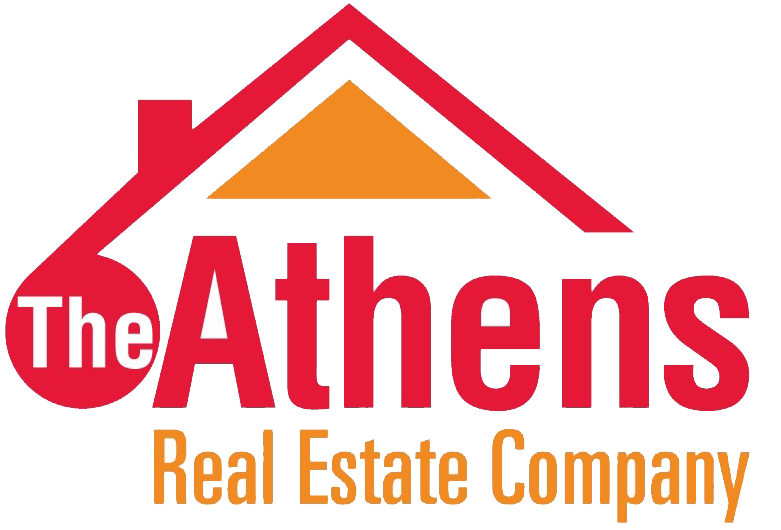 Located at the top of University Estates, within the city limits of Athens and all it has to offer. This charming split level brick home is move in ready and priced to sell. The home features nearly 4,000 sq ft, 3 bedrooms and 2 1/2 baths, huge laundry room, Smith custom cabinets, 12' X 46' sun-room, and a large family room with a gas fireplace. The 28' X 28' attached 2 car heated garage also has an attic for storage. HUGE REDUCTION! With 5 bedrooms, 4.5 Baths and specular space inside and out, this one-of-a-kind might be your kind! Upon entry, you find an elegant entry leading to a huge formal living room/study area just off an equipped eat-in kitchen with breakfast nook. Just off the kitchen find an enormous family room and oversized two car garage with a handicap ramp. This immaculately maintained, lightly lived in, smoke and pet free home is just a stone's throw from Burr Oak State Park making it the perfect weekend getaway or full-time retreat. An impressive great room with open beams, vaulted wood ceiling, warm and a cozy wood burning stove is the place to spend your days and nights. Open, functional floor-plane with tons of space and an excellent location in proximity to US 35, SR 160, and SR 850 located nearly in the center of Gallia County. As soon you walk in this home you will be memorized by the towering 22 feet high ceiling located in the Family room and foyer that flows very nicely into the giant cherry kitchen flanked by breakfast nook and formal dining room. Owners want offers! A quiet, peaceful retreat situated away from the road on 5.52 acres m/l surrounded by nature just a few minutes from town. This home was built with attention to detail to bring the beautiful panoramic views of the outdoors in. A grand vaulted, entry welcomes you with large architectural windows filling the home with loads of light. Brand New Metal Roof on this truly turnkey property located in a quiet neighborhood only minutes from the 29th Street Bridge. Exterior features include a spacious 0.625-acre lot with adjacent lots available for purchase, large rear deck with ample seating for entertaining, concrete driveway, patio area, attached 3-car garage, and detached utility building. Who says finding the perfect home takes compromise? This 4 bedroom 3 bath cape cod is tucked away on over 2 acres in the heart of one of Athens' favorite neighborhoods. 113 acres of hunting perfection! All parcels have been surveyed and are ready for you to set your hunting blinds and feeders. More than one perfect location to place your cabin or new home. Mature timber and rolling hills provide some of the best hunting int he area. Maybe you're just into taking in the scene? Trails and nature abound throughout this amazing property. Long-standing family business for sale in Nelsonville, Ohio. JJ's Pizza and Subs has been in business for well over 20 years. The building, which has been completely remodeled recently, features plenty of room to expand. The business, and all goods, appliances and other business necessities will transfer with the sale. You want privacy? Plus a nice house needing some TLC? This is it!!! It offers 4 bedrooms, 3 baths, large living room, dining room, large kitchen with tile flooring. Outdoor wood burning stove ducted to the house. Wood flooring, pond, very large barn (96 x 36). Fruit trees on property. All this setting on 78 acres +/-. Don't let this one get away. Note - all buyers to be pre-qualified. Looking for a Hunters Haven? A place to get-a-way? A cabin in the woods? How about 221 AC M/L of rolling wooded backcountry with lots of road frontage, a hunters Cabin, two ponds, fields for food plots, hiking, horse or 4 wheeler trail riding; look no further than this HOT game spot. Known for Big Buck Country this Southeastern Ohio find has it all. Elegance, tasteful and stylish all close to the hospital, shopping and schools all describe this amazing home. With no expense spared in this three bedroom, two bath custom brick ranch offering an open floor plan with exceptional quality inside and out a look is a must!. Beautiful modern home on the east side, walking distance to Ohio University, East Elementary, uptown Athens and Village Bakery. This 4 bedroom, 3 bath home is not your average "run of the mill" abode. This place is architecturally interesting and spacious, yet sensible. This location is second to none and a proven with high traffic flow and visibility. Excellent opportunity to walk into an established & successful business or bring your own ideas. Owner is willing to offer any and every option you would want to explore. This 5BR, 2.5BA classic saltbox colonial is nestled on a quiet cul-de-sac in one of Athens' most desirable East Side neighborhoods. With every nook and cranny perfectly finished, this home is ready for family life and entertaining from the moment you move in. A massive 20x14 ft living room, with gleaming hardwood floors, is anchored by a wood-burning fireplace. This beautiful, unique, 3 bedroom 1.5 bath home, located in the desirable Eastside neighborhood, is what dreams are made of! The impressive high ceilings, large windows, hardwood floors, and spacious, open living areas are what draw you in. Exceptionally large, light, bright, and well cared for. The front porch leads you into a spacious foyer. Seize the opportunity to own this 3,200 square-foot commercial building that is located on the high traffic commercial corridor of Columbus Rd, just minutes from uptown Athens and close to the St. Rt 33 offramp. Originally built as the social security office this steel frame building was built with high standards and quality! Large asphalt parking area plus second concrete lot. "Take this Barn and Love It" Park you car in the corn crib, drop your luggage in the milk house. Come upstairs to the barn and have a glass of wine. YOU HAVE TO SEE IT! Stunning barn to home conversion.